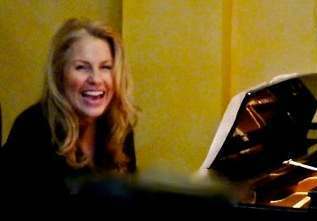 Voice teacher and seasoned performer Nancy Nolan is now accepting Voice Students (15 years or older). All levels: beginners welcome... as well as working professionals. All styles and repertoire: Broadway show-tunes, folk, pop, and jazz, with piano accompaniment. Emphasis on intonation, breath control, support and phrasing. 25 years experience in "Letting Voices Sing!" Contact: Nancy for more information and rates.